As digital and cloud technologies transform how corporations and their employees interact and conduct business, IT security must extend beyond the internal infrastructure. 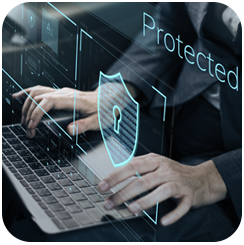 With workers using smartphones, tablets and other devices to communicate with the corporate network and application interfaces allowing third party resources to automatically upload information, IT managers must create new safeguards against security breaches. Cloud security must also be addressed to ensure information and applications stored in virtual locations are protected against both internal and external threats. As workers and customers assess business intelligence in different ways, companies must update their security strategies to protect sensitive and proprietary information. In addition to considering the architecture of how data is stored and retrieved, companies must create mobile BI strategies as employees bring their devices to work and mix sensitive business data with personal information. Protocols must outline how employees are granted access to data and what happens when workers leave the company or lose a device. Encrypted hard drives and email, multifactor authentication, mobile management platforms, anti-virus software, user classifications and data backups are some of the tactics that companies can employ to reduce the threat of security breaches. Questa understands that IT security requires both an internal and external viewpoint. Rather than take a band-aid approach to address specific concerns, we conduct a comprehensive risk assessment to identify vulnerabilities in creating a business security model that outlines technologies, protocols and processes to protect both an internal and cloud infrastructure. In addition, we can design a crisis management strategy for quick response and recovery from any level of security threat. To support a corporate-wide acceptance of security strategy, we participate in change management to train employees on new methodologies and standards, especially those regarding the use of personal devices that have the highest risk to hackers. Having worked with different industries, Quest understands the different challenges faced by corporations, especially those that must meet strict compliance rules. According to a recent Ponemon study, the cost of a data breach has reached $4 million. To curtail the loss in revenue and reputation associated with hacked personal and corporate data, corporations of every size must consider investing in stronger security strategy to protect their valuable assets.